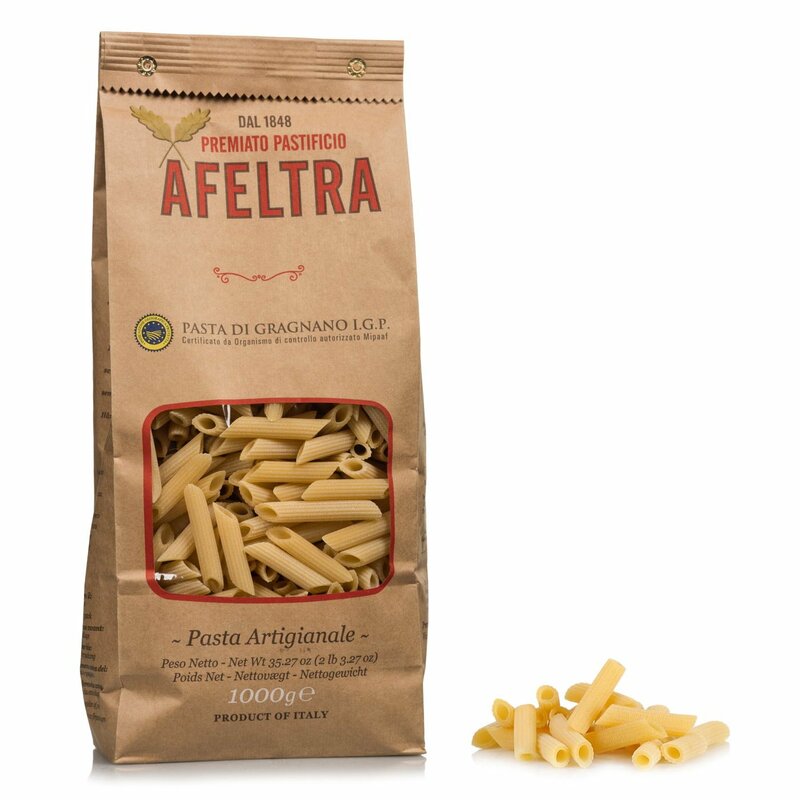 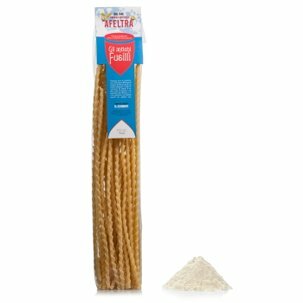 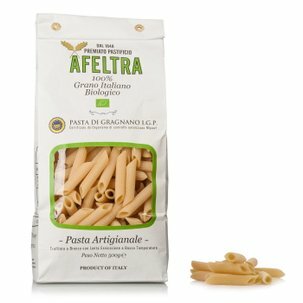 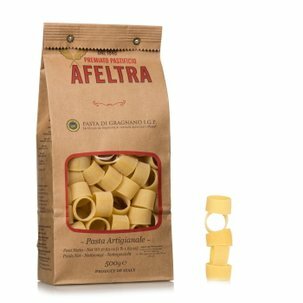 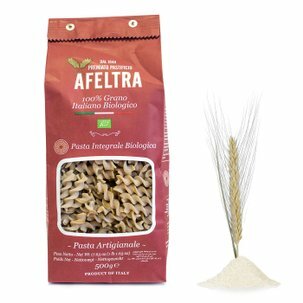 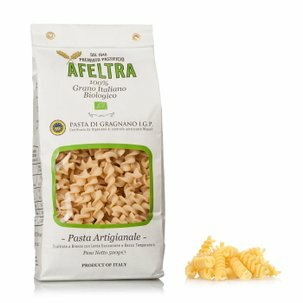 The penne rigate from Afeltra are prepared with carefully selected durum wheat semolina and water from the Lattari Mountains, bronze die extruded and dried slowly for up to 48 hours. 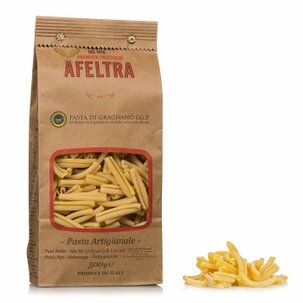 With their unmistakable grooving and their particular coarseness, the penne rigate from Afeltra are perfect for holding any sauce. Try them with a porcini mushroom and sausage sauce, or in a more summery version with prawns and courgettes.